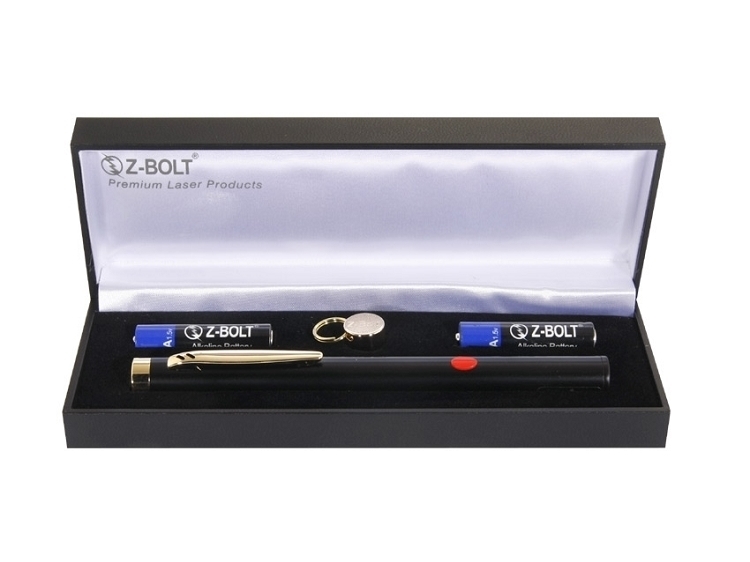 The Z-Bolt® BTE-4 is a 635nm red laser pointer with push button switch. Brightest FDA Power. Solid brass construction; black finish. Engravable. Lanyard & accessory end cap; premium gift case. The red laser module in the BTE-4 operates on 2 pcs AAA batteries for superior battery life - forty (40) hours constant on operation. Ships in satin lined carry case. 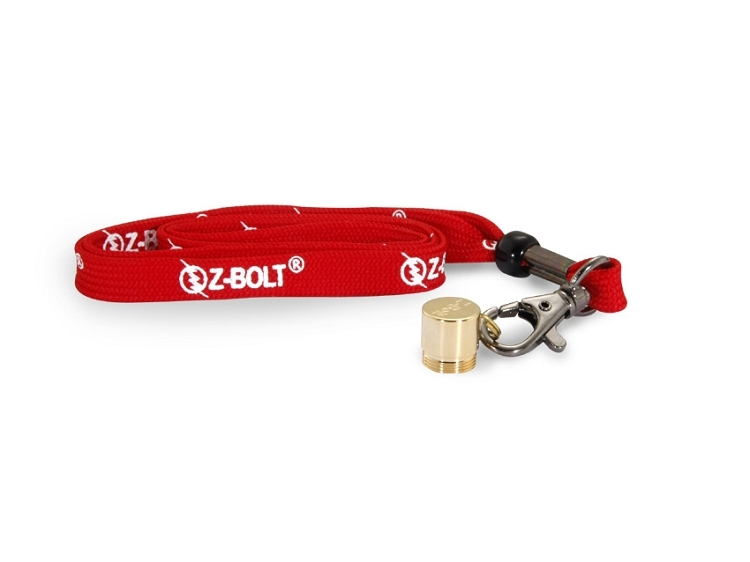 Includes lanyard end cap and red nylon wrist and neck lanyard.